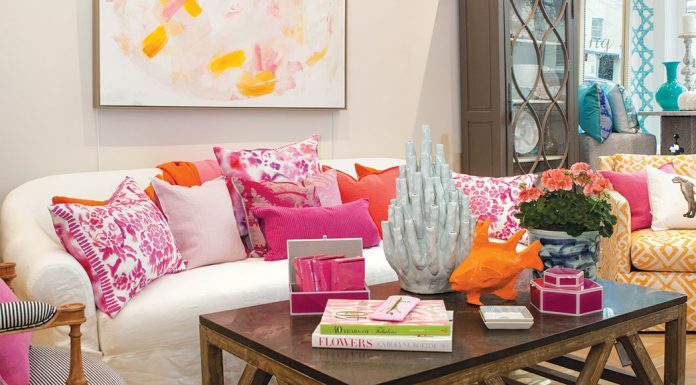 Have you started your Christmas shopping, yet? 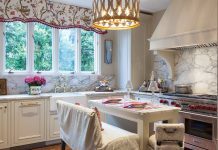 Check out eight of our favorite market finds this holiday season to make finding that perfect present just a little easier. 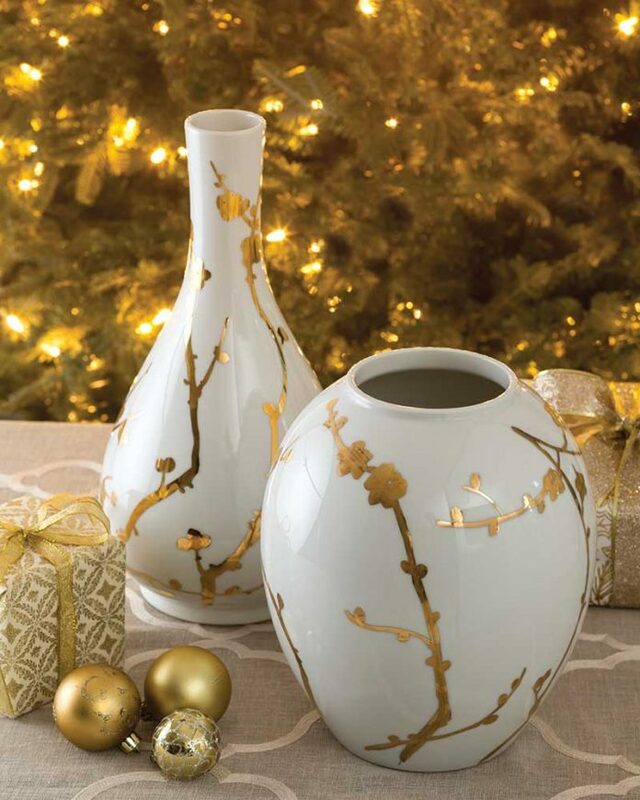 Gilded Blossoms ceramic vases from Frontgate, frontgate.com or 888-263-9850. Twelve Days of Christmas plates from Juliska, juliska.com or 888-551-7310. Real flame-effect candles from Luminara, luminara.com. Star cheese platter from Annieglass, annieglass.com or 800-347-6133. 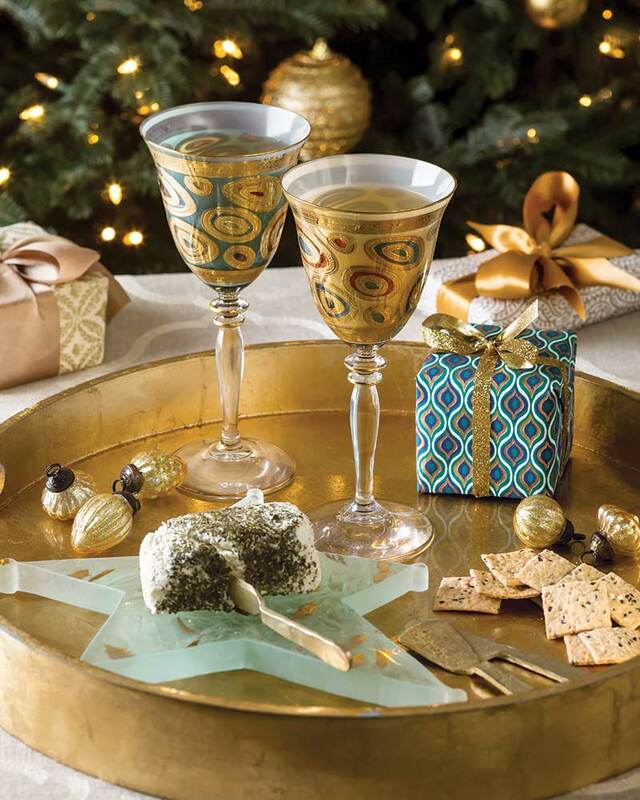 Goblets and gold cheese knives from Bromberg’s, brombergs.com or 205-871-3276. 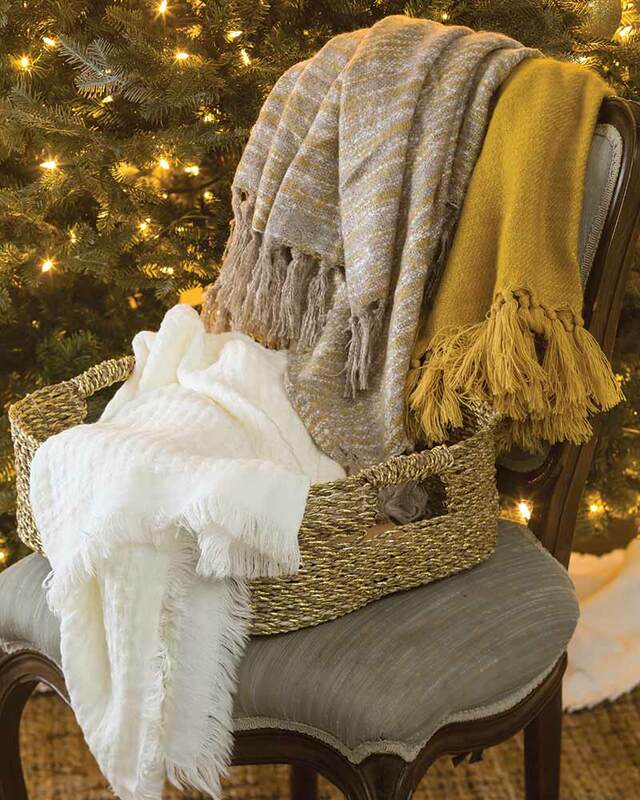 Blankets and basket from West Elm, westelm.com or 888-922-4119. Golden tray from West Elm, westelm.com or 888-922-4119. 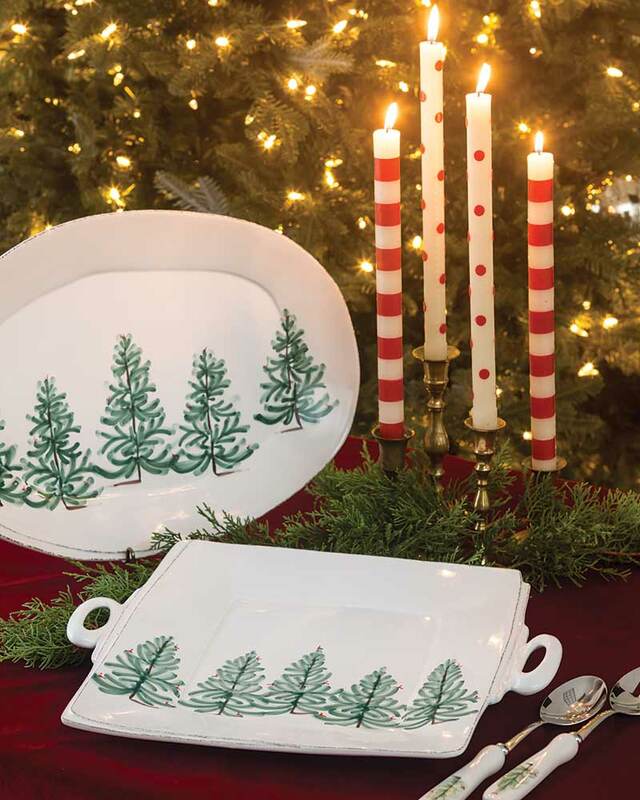 Lastra Holiday Handled Square Platter, Oval Platter, and Salad Server Set from Vietri, vietri.com or 919-245-4180. 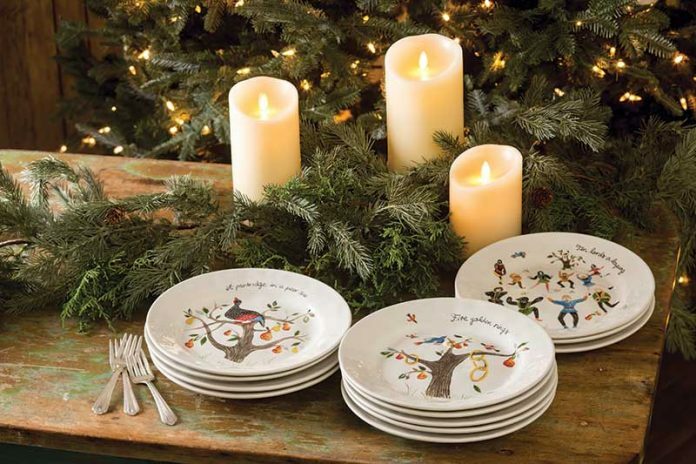 Red Bands and Dot Dinner Candles from MacKenzie-Childs, mackenzie-childs.com or 888-665-1999. Christmas pillows from Chandler 4 Corners, chandler4corners.com or 800-239-5137. 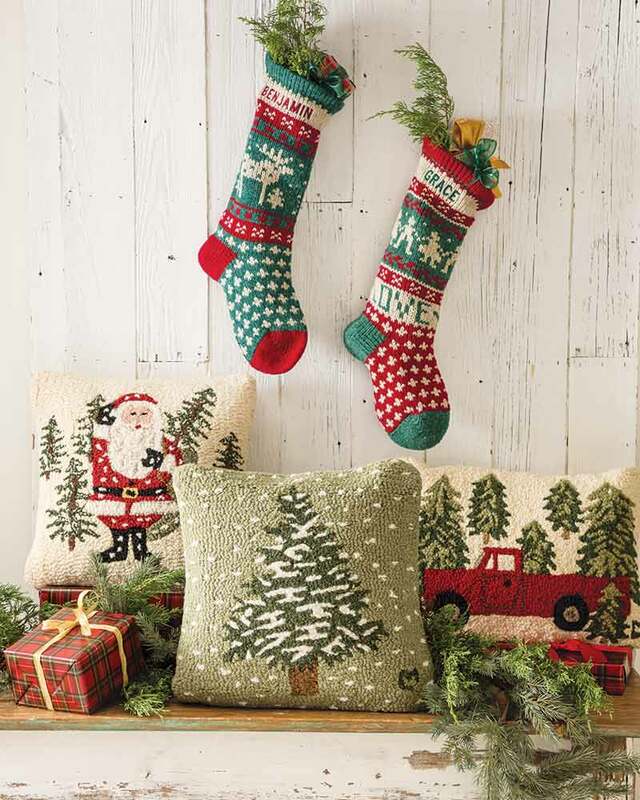 Christmas stockings from Annie’s Woolens, annieswoolens.com or 715-479-7185. 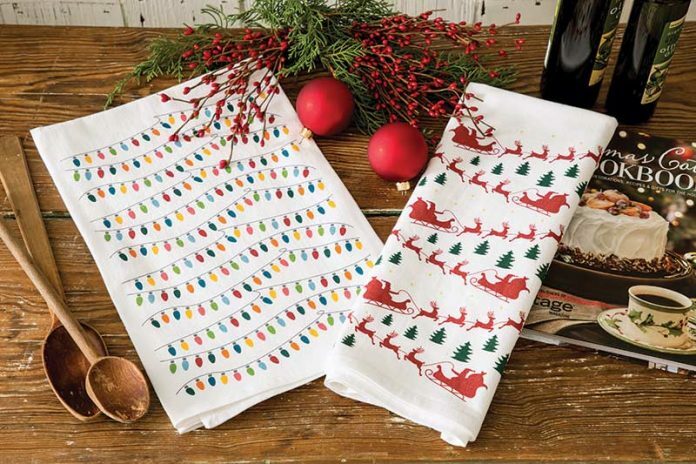 Christmas tea towels from Coast and Cotton, coastandcotton.com or 334-350-3360. 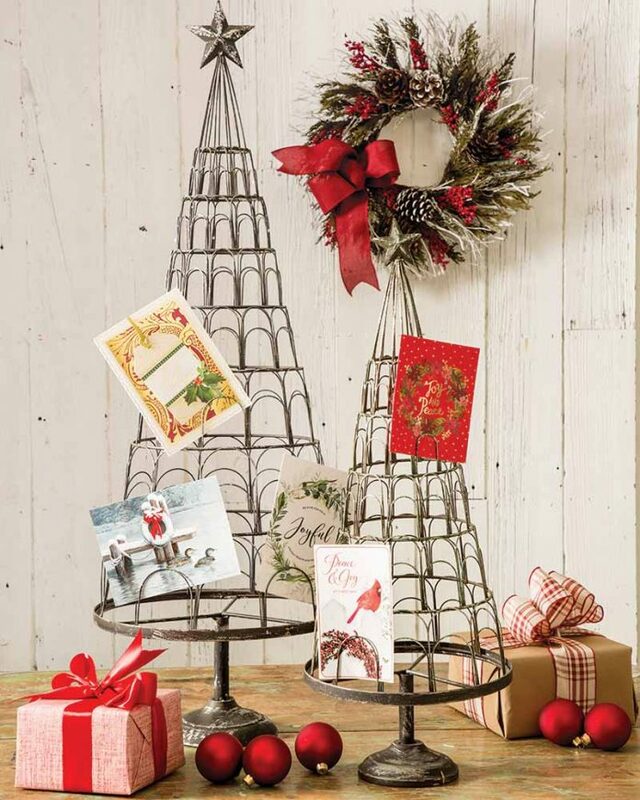 Metal Christmas tree card holders from Peacock Park Design, peacockparkdesign.com or 810-714-3666. Hanging wreath from Floral Treasure, floraltreasure.com or 619-423-5868.